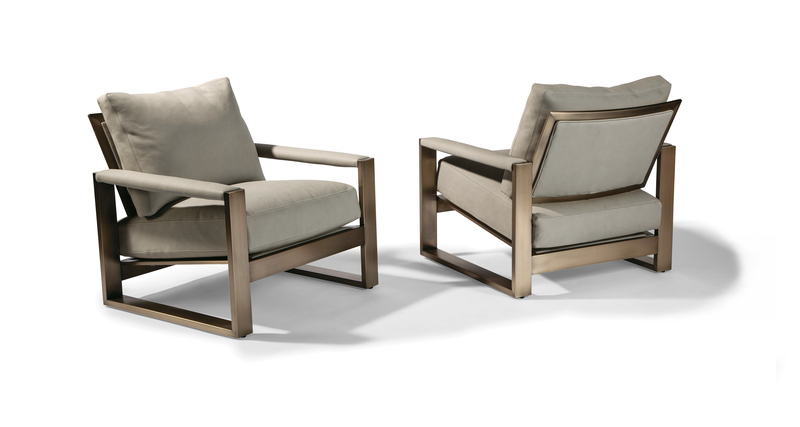 Our Chunky Milo lounge chair is a Milo Baughman classic with its dramatic, geometric metal frame and sumptuous seating and support. 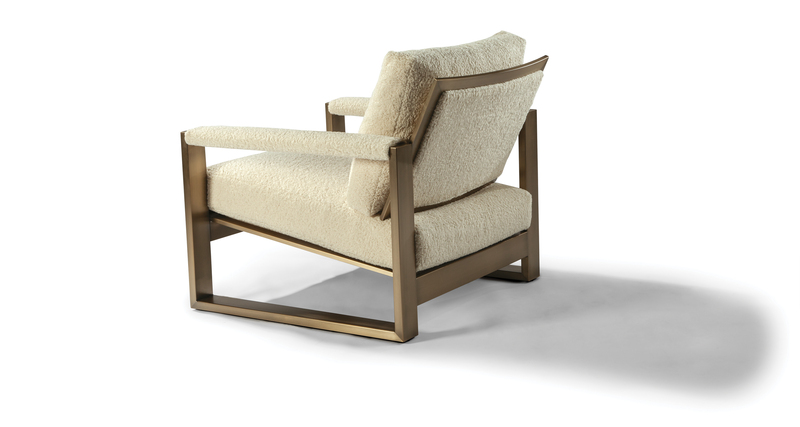 Originally designed in 1972, Chunky Milo features a thick and stout brushed bronze frame, padded arms and luxurious poly blend down seating. Choose from any of our in-house curated fabrics or leathers for upholstery or provide COM. Also available with a polished stainless steel frame as No. 1372-103 or with a dark bronze frame as No. 1372-103-DB. Shown in brushed bronze finish.